SCB Legal’s knowledgeable litigation lawyers assist people with their everyday legal issues, ensuring their civil law rights are upheld. On some occasions, you may not even realise that the problem you have is a legal dispute. Our experienced lawyers are able to identify the legal issue, provide legal advice, as well as first-rate assistance and if necessary, legal representation. We ensure that your legal problems are solved and your rights are maintained. Civil law is an expansive area of the legal profession. Civil litigation primarily deals with issues concerning individuals, although it can incorporate businesses and corporations too. Unlike criminal law that mandates disputes between an individual and the state, civil law concerns individuals involved in a dispute, where their rights are brought into question. 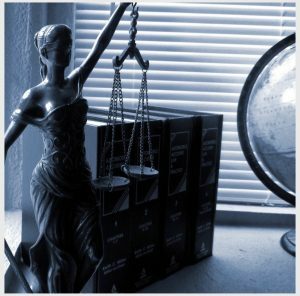 SCB Legal’s civil litigation lawyers deal with all types of legal disputes. A litigations definition is best explained via the many questions we receive. The following list, outlines some of the many problems people encounter that are regarded as civil matters. If you identify with any of the following issues, contact SCB Legal today, so that we can connect you with one of our experienced litigation solicitors. Do You Have Unpaid Debts That You Are Unable To Repay? We will examine the contract you signed to receive the money and ensure that the company did not take advantage of you. In addition, we will evaluate whether the signed contract was fair and confirm that the company complied with all rules and regulations. Do You Maintain That The Contract You Signed Was Unjust? Our team of lawyers has vast commercial law expertise ranging from multinational companies, to those in the small business sector. Each business deserves expert advice and thoughtful consideration. Regardless of the size of your business and industry, the same attention to detail, care and dedication is provided. Not every business has the financial means to hire a team of experts, in order to best protect their business. While legal aid is a fantastic government initiative, the problem arises when you don’t qualify for such assistance or in the case of commercial law, it’s simply not provided. We maintain that every person, regardless of their financial background deserves the same attention and knowledgeable guidance. It’s for this reason that part of our company ethos is focused on providing superior legal advice and services for all people and businesses. The team at SCB Legal, is committed to upholding inclusivity, which is why we provide a range of FREE services to best meet the needs of our clients. In addition to assisting businesses, our commercial lawyers help explain your rights and the laws that govern consumers. This area of the law is referred to as Consumer protection law. Australian consumer law outlines your rights as a consumers. Our dedicated and professional team of lawyers will help you make sense of the complicated legal jargon, so that you are best protected. Do You Have A Defective Product And Want To Know Your Rights? We can definitely assist you by analysing your unique set of circumstances and the product/purchase in question. Our live chat function provides you with a convenient way to receive answers quickly. Do you have a business that sells products? We will draft and or review your terms and conditions of trade. This will ensure that they’re written in accordance with consumer law, as well as safeguard your rights and indemnify you where necessary. When selling goods and making them available via credit or lease, you may be required to register your goods and equipment under the Personal Property Securities Act. This is an important action one needs to take, in order to best protect your property. What Is Commercial Law And Business Law? Commercial law also referred to as business law, involves any issue that arises in the creation of, or running of a business. The law is a vital component of commerce and trade and provides a framework for economically sound business practices. It’s imperative to consult a knowledgeable lawyer, so that your business is operating in a successful and lawful manner. (3) settling issues relating to affreightment, banking, insurance etc. Obtaining the best commercial legal advice ensures the success of your business. It allows you to perform commercial transactions with confidence, knowing that your legal affairs are in safe hands. We will address your business affairs pragmatically and provide down to earth and easy to understand business law advice. This facilitates you making the best decisions, in order to strengthen and protect your business. Our commercial law team has comprehensive knowledge and experience, upholding best practices for advising clients. Expertise relates to business ventures, commercial transactions and dispute resolution alternatives of a commercial nature. 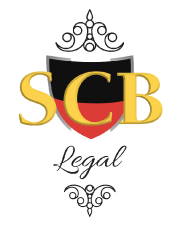 SCB Legal’s advice will place you in the strongest legal position. We thoughtfully consider the commercial consequences and advantageous solutions for your business, so that your company is operating within the requirements of business law. Businesses seeking comprehensive legal advice from the onset, generally perform better. There are a number of Business elements you must consider when starting a new business venture. We take the utmost care, making certain you are aware of your rights and obligations under Australian Competition & Consumer Law. Would you like to discuss the drafting of agreements for your new venture? Engaging in business involves entering into agreements with customers, clients and suppliers. It is vital that the documents used to establish these agreements are carefully drafted. Comprehensive and detailed documentation enhances your business position, helps you avoid disputes and carefully considers possible outcomes of your business relationships. The team at SCB Legal has extensive experience in negotiating and drafting commercial contracts, which are diligently considered for your best protection. Business relationships lend themselves to certain challenges and as such do not always run smoothly. This is why our team is highly qualified and possesses the knowledge and expertise to ensure your business receives the best advice. When a dispute arises, we consider all solutions. Special attention is given to the creation of a contract, as no matter how carefully drafted, contracts are not always performed. Our team understands that you are seeking the best outcome for your business when dealing with a dispute. It is for this reason that we are dedicated to resolving matters in the most economical and efficient manner. We have experience in all forms of dispute resolution including negotiation, mediation, arbitration and litigation. Chamberlains Law Firm is an independent mediation company that provides services under the guidance of SCB Legal. The principal, Alex Rashidi, specialises in mediation law and is conveniently located at our SCB Legal offices. Are You Seeking A Mediation Specialist That Can Facilitate Your Matter Being Settled By Negotiation? Are you establishing a new business? You might be starting your first ever company and therefore require professional legal advice. We excel in the formation of new companies, providing much sought after direction, relating to business structures. For new businesses, we assess which business structure is right for you, taking into account the most advantageous option available for your type of business. In addition, we provide advice and drafting in relation to the structure or restructuring of your business. Special attention is given, so that an optimal outcome ensues regarding taxation, business succession, and structure. We are well versed in all aspects of drafting the relevant agreements to establish your business. Positive and well-structured relationships between employers and employees are key factors of a successful business. These types of agreements enable you to establish a business that will run smoothly. Commercial, retail leasing and property purchases can be complex when you’re trying to make sense of the often wordy legal terminology. This is precisely why our team of talented commercial property lawyers will help you negotiate and best understand the acquisition of premises for your business. Do You Have A Legal Question Relating To The Running Of Your Business? Does The Legal Jargon Present In Your Contract Seem Confusing Or Ambiguous? If you answered YES to either of the aforementioned questions, then sound legal advice is what you’re seeking. All of your questions regarding commercial law will be answered fully. Irrespective of whether you require information about types of business laws, laws pertaining to small business owners or regulations in business, we take the time to demystify the law for you. We look forward to meeting you and discussing how we can assist you with your commercial and business needs. Would You Like To Speak With One Of Our Legal Experts?